Sony: Patapon 2 Going Digital As A "Test Case"
Sony reps have confirmed that there are no plans for a UMD release for Patapon 2 when the PSP game ships in North America next month, calling the move "a one time test case." 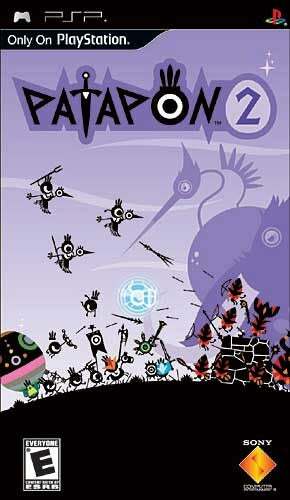 In a statement from Patrick Seybold, Senior Director of Corporate Communications at SCEA, the company's plans to go download-only on the Patapon sequel are confirmed, noting that the PlayStation Portable game will be available at retail and via the PlayStation Store. "We're considering a digital only format for the Patapon 2 release as a one time test case as we continue to explore consumer preferences for digital content," reads the statement. "The downloadable game will be available on May 5th at both retail and via the PlayStation Store. We remain focused on providing superior games and entertainment experiences in both the UMD and digital formats and are working closely with our partners to deliver the best PSP line up in our history."